I’ve been told not to judge a book by it’s cover. But as soon as I caught a glimpse — and a sweet, musky whiff — of Cannabis Buyers Club Berkeley’s Classic Cookie Crizzle, it was difficult to resist the urge to make any assumptions about the frosty, compact buds, complete with strands of tawny hairs woven throughout. My mind spiraled through all of the shades of green — fern, olive, pear with specks of hunter green. “What’s the pastel version of neon green?” I contemplated, holding a nug to the light. I hadn’t even smoked yet, and yet was already asking myself questions of absolutely zero consequence. Classic Cookie Crizzle is one of the newer strains at CBCB, part of its “The House Collection,” a top-shelf flower line in which the dispensary curates classic genetics from California’s cannabis scene, such as Trainwreck or Berry White, then crosses them with complementary phenotypes, all cultivated in-house. 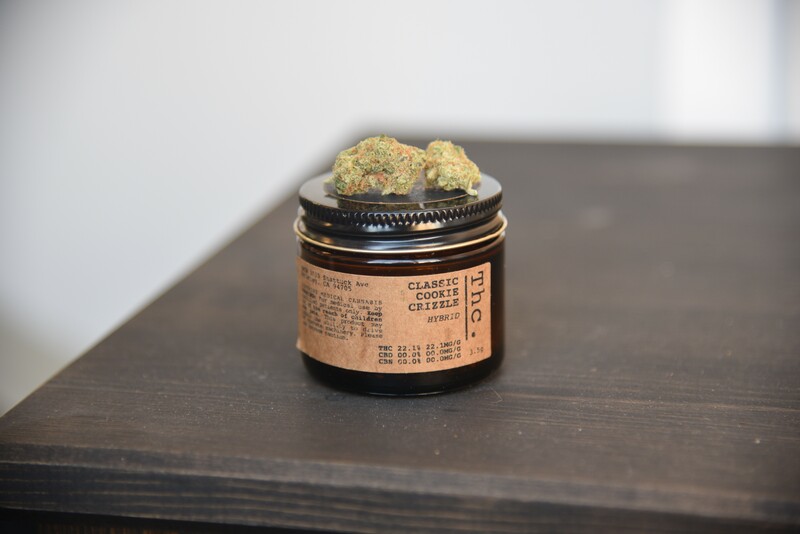 This particular sativa-dominant hybrid has 22.1 percent THC, and is a cross of Bay Area staple strain Girl Scout Cookies and Pincher’s Creek. I smoked at different times during the day and was delighted every time. The buds had a floral yet gassy flavor that coated my mouth but didn’t leave a thick, smoky aftertaste. After a couple hits, a clear-headed, clean high started to creep up on me. In the afternoon, it helped me float through my work and errands. Another evening, I caught myself feeling carefree while looking out at the skyline while riding in the passenger seat, savoring the sunset. Its subtle intensity wasn’t overwhelming, and I wasn’t afraid that, if I smoked more, I would start to feel like my battery was draining. It’s such a smooth, even high that reminded me of Green Crack without the edge. You can take a few hits for a nice, bright-eyed mood boost, have a small — sesh if you have the time to commit to aggressively chilling minus the couch-lock — or you can go all in and plan to happily stare at the ceiling while you contemplate the meaning of life. Learn more about Cannabis Buyers Club Berkeley at CBCBBerkeley.com.